"I am here from Ireland playing with my band, Dark Room Notes. Our album "We Love You Dark Matter" is going to be released in the US in April. Oh yeah, my inspiration comes always from colour!" I love her bright green jeans, probably because I have a hard time pulling off colored denim. (Though I try, oh I try.) 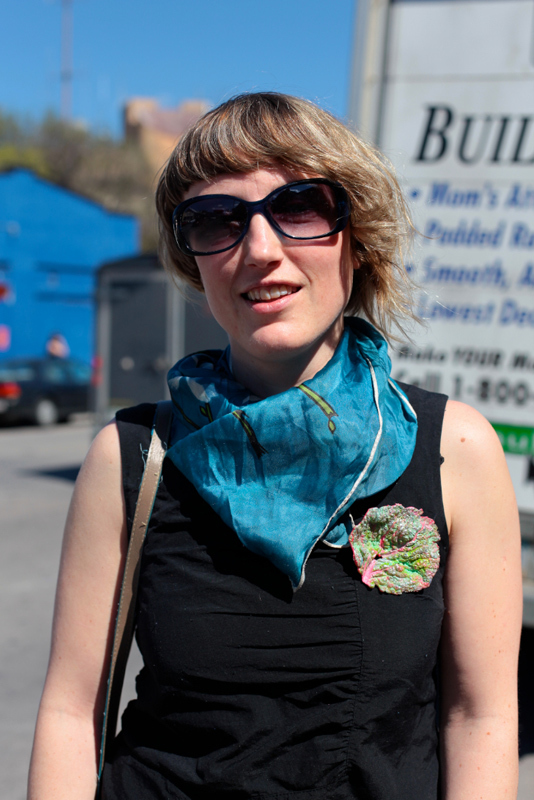 Check out her pin and scarf too. Look at those beautiful green heels and how she rolls up her jeans. Those are some amazing shoes.